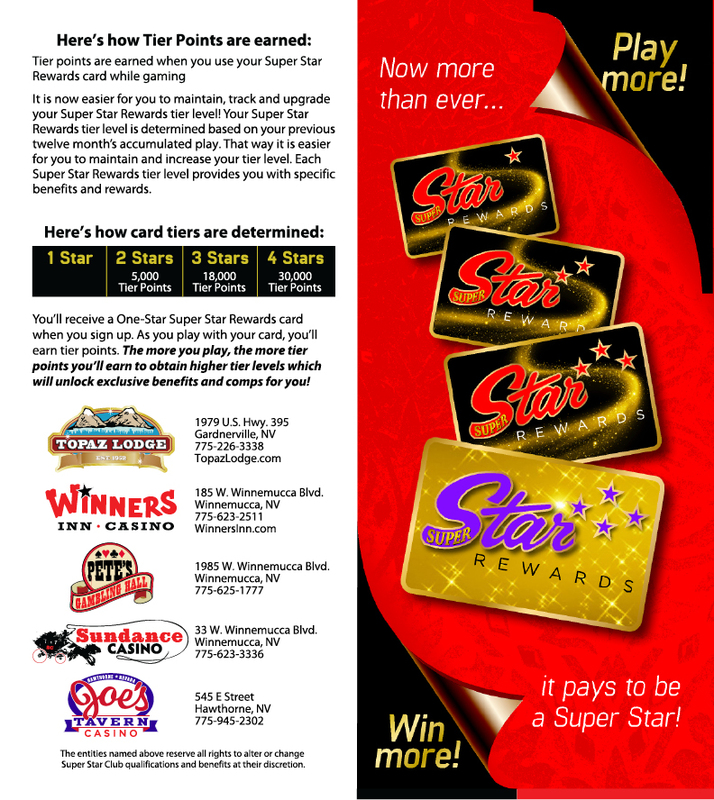 Winners Inn Promotions with the Super Star Rewards Card it pays to play! 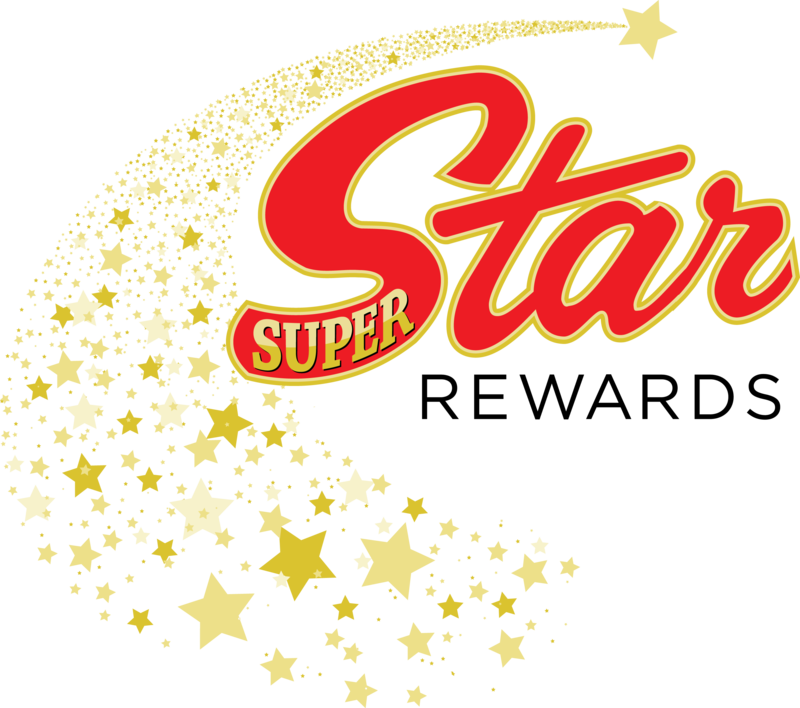 Winners Inn Casino is one of the five great Nevada Casinos in The Super Star Rewards club. Membership in this club gets you a host of benefits as you travel across Interstate 80 and HWY 395. Earn as you play at Pete’s Gambling Hall and Sundance Casino in Winnemucca, Topaz Lodge in Gardnerville, and Joe’s Tavern in Hawthorne. Sign up for Winners Inn promotions and get so much more. 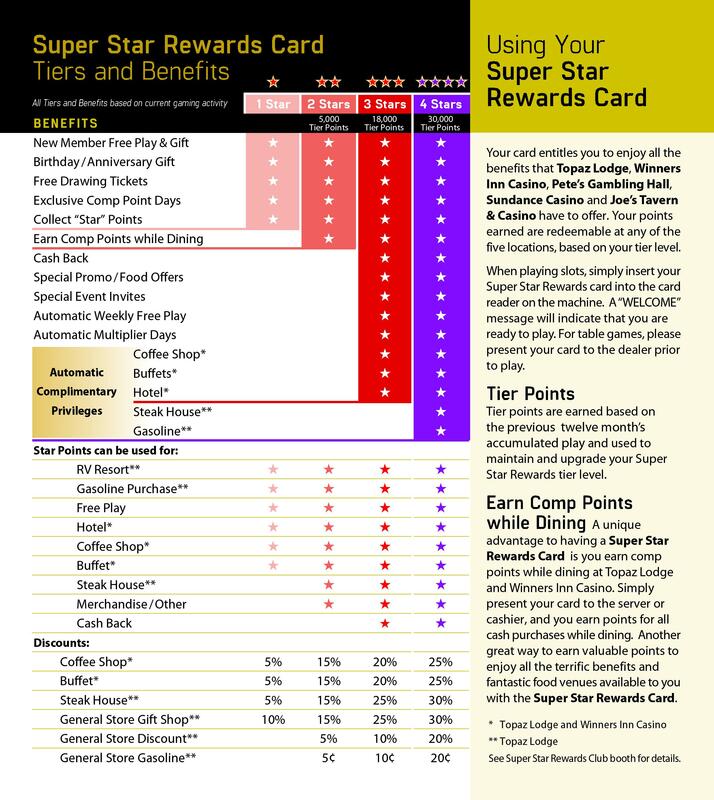 You’ll get lodging deals at Winners Inn Casino and Topaz Lodge, as well as deals at our great restaurants, the Star Broiler, the Lakeview Coffee Shop, and the Topaz Lodge Steakhouse. Interested in bringing a group from Idaho, Oregon, or Washington? the Boise-Winnemucca Stage office at (800)448-5692 for more information.